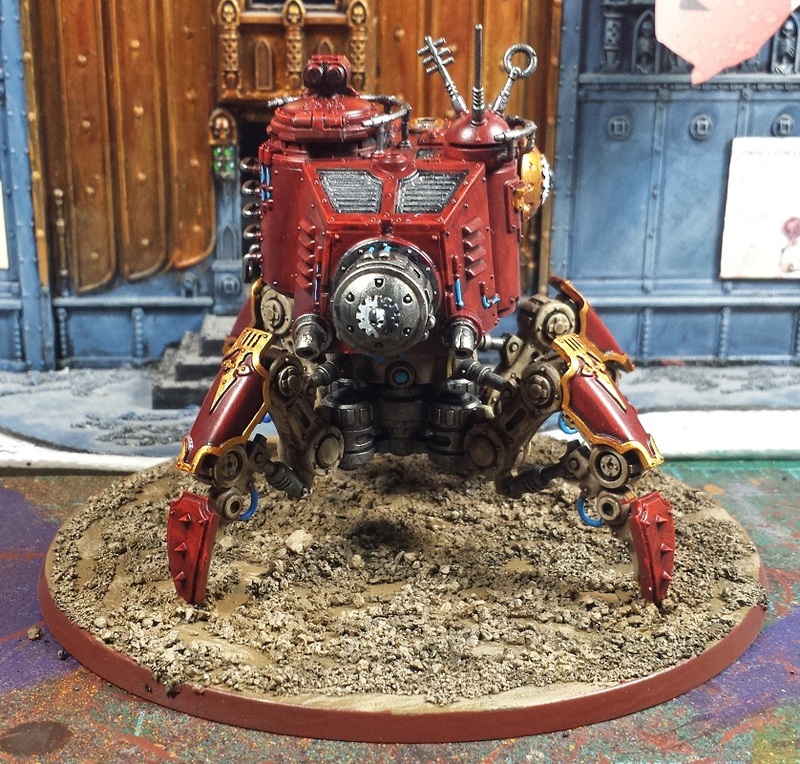 Got a relatively free weekend and jumped on the Dunecrawler this morning, and it came together surprisingly quickly! Kept on with the red, gold and bone - got me feeling like I was painting Thousand Sons again! The model has all sorts of cool little detailing, the little manipulator arm is pretty cool. I tried a little lightning crackle on the barrel of the neutron laser but the overhead light sort of washes it out. Will try to get some better pics once it's finalized with the weathering and whatnot. Once the transfers and weathering are in place, the bases will all get some static grass as well - giving the models a little green on the base should set off nicely against the reds of the models! Next up, the last of the built models - a unit of Skitarii Rangers. Once they're done, I need to build a unit of Skitarii Vanguard and a unit of Infiltrators, then lastly the knight. Looking forward to that for sure! I noticed the lightning effect. Ace. @Siph_Horridus: Cheers man! The red recipe is Vallejo Dark Red basecoat, heavy drybrush of Gory Red, light drybrush of Blood Red, then an all-over wash of GW Carroburg Crimson. Doing a little vanity project next - details to come soon! Fantastic paint job. 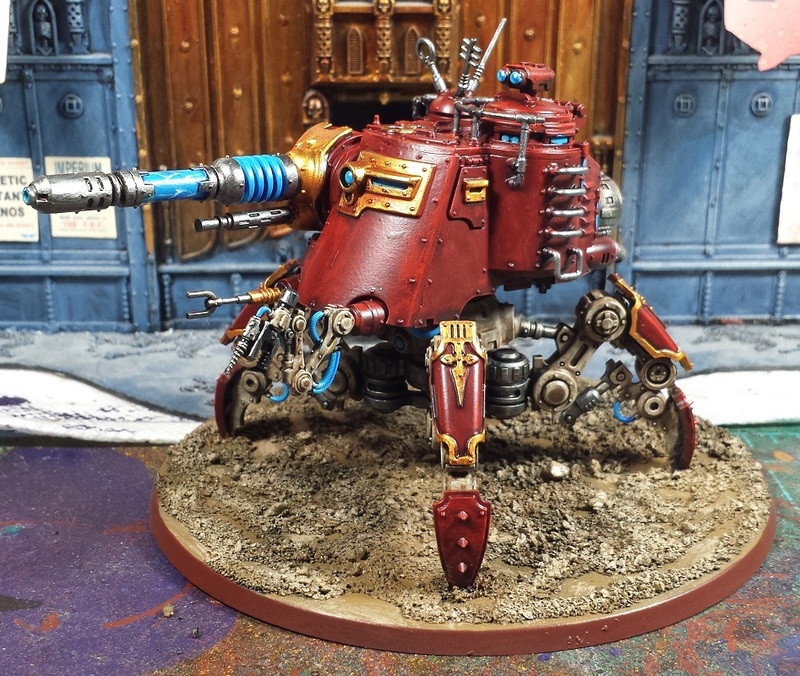 I like how you've used a variety of metallic hues for the leg mechanisms & the tool arm; & the deep red is lush. He's a painting machine! 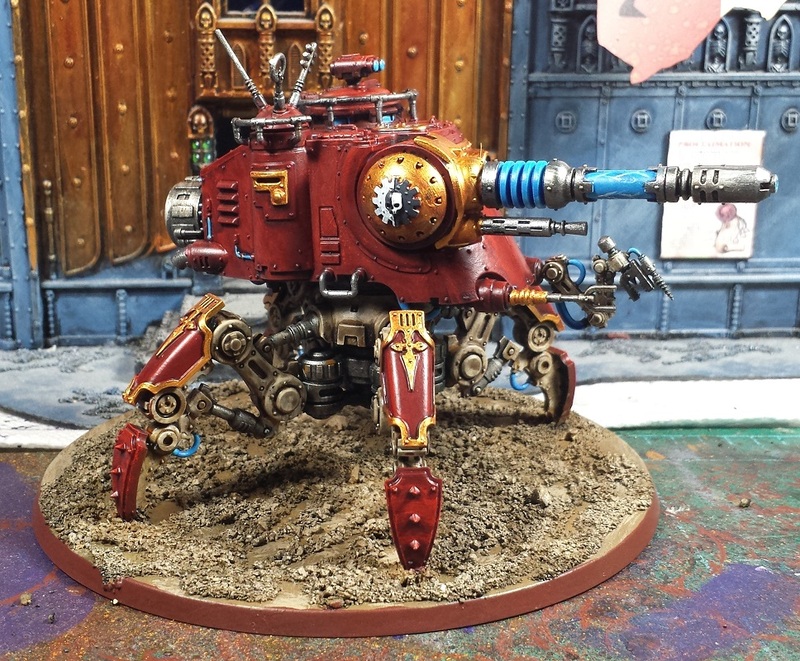 I'm curious, did you paint the Dunecrawler in sub assemblies? @CJ Kilbride: In retrospect, leaving the body separate from the legs would have definitely made things easier! That's the glowiest I've ever seen a lightning gun without an LED in it! Well done! Really nice. How did you paint the base? And I see exactly what you mean about the K Sons. 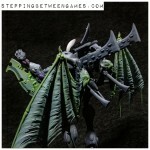 Didn't like this walker when they first released it, but you somehow make it look damned nifty. @Emperor Bill: Cheers! The base is a basecoat of Vallejo Tierra Earth, followed by a quick drybrush of Khaki. The rim gets a coat of Dark Flesh - easy peasy! @Dai: It's not my favorite part of the line by any means, but in-hand it's not quite as goofy as some of the pics make it seem. I do wish the legs had a bit more articulation option, though.